NASA (the National Aeronautics Space Administration) comes out with some pretty cool videos now and then, and this is one of them. The animation tracks the landing site of Apollo 11, which touched down exactly 45 years ago. This gives some perspective on where on the Moon's surface the astronauts actually touched down. Back in 1969, all you basically knew was that they were "up there," but they could have been anywhere on the surface of the moon for all the general public knew. The animation is only a minute long, but packs a real punch, with a lot of data shown with precision. This is much more information than the actual astronauts had before they set down in July 1969. 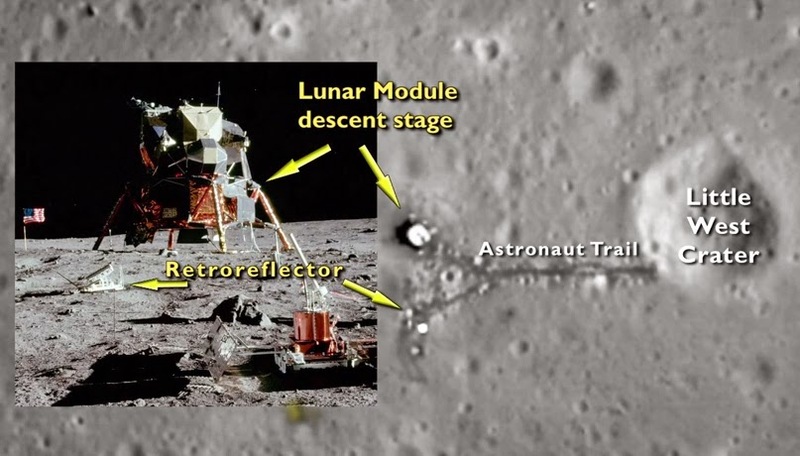 Incidentally, they were going to land in the crater that can be seen nearby, but Neil Armstrong took over manual control and sailed the lunar module past it. This gives an idea of what might have happened if they had just relied on the computer. Oh, and of course the Apollo 11 site is there. Weird Al can explain that for you in this brand new video of his if you have any doubts.